TBS has something fun planned for next month. This week, the network announced their new TV shows Drop the Mic and The Joker’s Wild will premiere in October. Based on the popular segment from The Late Late Show with James Corden, Drop the Mic “pits four stars from the worlds of entertainment, music, sports and pop culture to face off against each other in a rap battle royale packed with lyrically creative genius and “Did they really just say that?” moments.” Method Man and Hailey Baldwin host. Hosted by Snoop Dogg, The Joker’s Wild is based on the 1970s game show and will feature a whole new set of trivia questions with a “Snoop-a-fied touch.” Celebrity guests include Seth Rogen, Wiz Khalifia, Karlie Kloss, Michael Strahan, Method Man, Regis Philbin, Kelly Osbourne and Karrueche Tran. The Joker’s Wild premieres on TBS on October 24th at 10 p.m. ET/PT. The debut of Drop the Mic will follow at 10:30 p.m. ET/PT. Starting October 24, Tuesday nights on TBS will be fueled by hip-hop, comedy and culture with the reboot of a classic game show, Snoop Dogg Presents The Joker’s Wild airing at 10 p.m. (ET/PT). 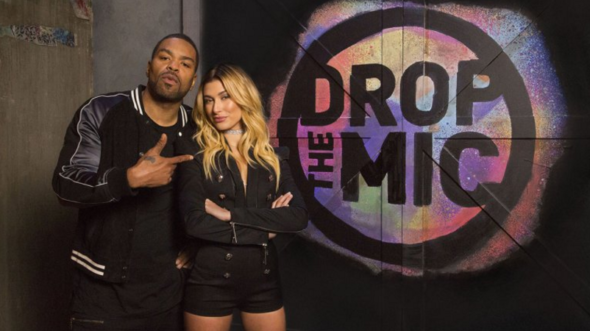 Immediately following, the new celebrity-led rap battle contest Drop the Mic, based on the wildly popular segment from The Late Late Show with James Corden, is hosted by Method Man and Hailey Baldwin and will premiere at 10:30 p.m. (ET/PT). TBS will extend Snoop Dogg Presents The Joker’s Wild through digital experiences and let fans play along with the official free online game accessible via the TBS Android and iOS apps or online at TBS.com beginning October 24. Leading up to the premiere of the show, TBS will release an exclusive documentary series titled Gettin’ Wild with Snoop Dogg that will give fans a first-hand look behind the scenes of the making of the show. Directed by the five-time Emmy(R)-winning documentary filmmaker Rory Karpf, the six episode series follows the icon’s transformation into game show host and explores his creative process behind the show’s reboot. The docuseries will be available on the TBS app, TBS social media handles, including the Facebook Watch Tab, and via TBS.com. TBS and Snapchat are partnering on an original, creative face-in-video Lens feature Snoop Dogg beginning on October 18 to promote Snoop Dogg Presents: The Joker’s Wild. This is the first animated, sponsored face-in-video Lens next to a celebrity. Snoop Dogg will dance in the Lens next to the Snapchat user, who will be a dancing joker. The Lens features custom green screen footage of Snoop Dogg shot exclusively for this Lens experience. TBS ‘stacks the deck’ by adding Jeannie Mai (The Real) as ‘Lady Luck,’ the vivacious hostess of Snoop Dogg Presents The Joker’s Wild who brings good fortune and friendly assists to Snoop and the contestants. Mai is best known as the host of the two-time Emmy nominated daytime talk show series The Real and the twice Emmy(R) nominated television series, How Do I Look? Previously a style correspondent on Entertainment Tonight, The Insider, Extra, E News, Jeannie has also hosted live on the red carpet for the Golden Globe Awards(R), Grammy’s(R), American Music Awards(R) and Oscars(R). What do you think? Are you a fan of game shows? Will you watch The Joker’s Wild and/or Drop the Mic? More about: Drop the Mic, Drop the Mic: canceled or renewed?, TBS TV shows: canceled or renewed?, The Joker's Wild, The Joker's Wild: canceled or renewed? How do you create a 30 second ad for a GIGANTIC ONE-ARMED BANDIT and only show it for 1 second?